Eagle-eyed (and hungry!) 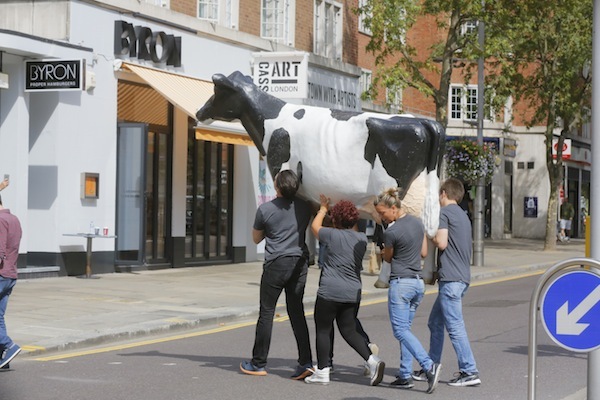 residents may have spotted the re-launch of Byron High Street Kensington last week, following a stylish new revamp of this, the first restaurant in the Byron chain which opened its doors way back in 2007. Re-opened on 1st September, the restaurant at 222 Kensington High Street takes its inspiration from its local surroundings and architecture – something of a Byron speciality as individuality is the key ingredient in all of their 52 locations. The Kensington branch now boasts a 1930s Deco-style exterior, with an interior that pays homage to European Modernism. Come down to enjoy tasty burgers and cold craft beer whilst perched on the specially-selected vintage seating or one of the leather banquettes, surrounded by the work of illustrator Alec Doherty. His vibrant style will be familiar to Byron’s customers, given his previous work with the brand. In fact, it’s no surprise that Byron recently won a YCN (You Can Now) Illustration Award for its use of illustration – with work from including the work of Jean Jullien, Alec Doherty and others – across its branding. 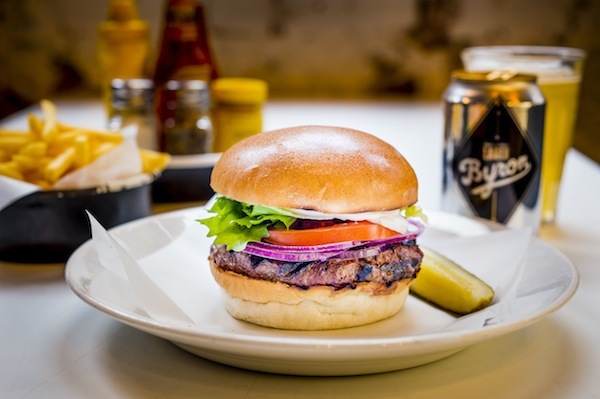 For more on the re-launched Byron and all their other venues, please see www.byronhamburgers.com, or check them out on Facebook, Twitter or even Instagram!